In June 2013 the Constitution Unit published Fitting the Bill: Bringing Commons Legislation Committees into Line with Best Practice, proposing a series of changes to Commons bill committees. Last week the issue was brought back into the headlines, as John Bercow emphasised the need for reform. Last Monday at a lecture for the Study of Parliament Group, the Commons Speaker John Bercow suggested that reform of Commons public bill committees is overdue. His remarks closely chimed with proposals made in a Constitution Unit report published last year (and summarised here). 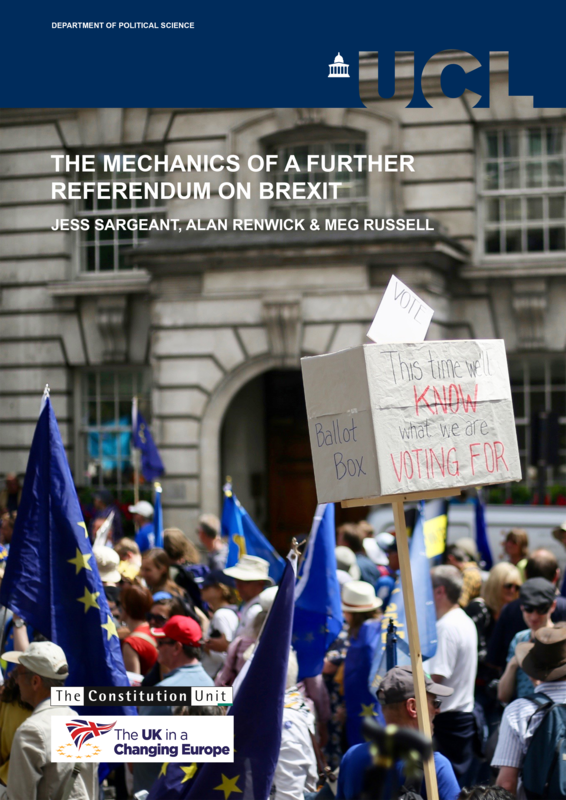 With the end of the current parliament fast approaching, this topic should be high on the agenda for those planning for the parliament of 2015. Bercow’s lecture commemorated Michael Ryle, who together with the late Sir Bernard Crick founded the SPG in 1964. One of the key proposals coming from Crick (and the Group in its early years) was the establishment of permanent specialist committees for the Commons. This led to the creation of today’s select committee system. But as we summarised in our report reformers originally wanted the committees to deal with government bills as well as general inquiries. This failed to happen, and legislative scrutiny remained in the hands of temporary non-specialist committees. Since then the reputation of the select committees has steadily grown, while the reputation of bill committees has generally been poor. Especially since the reforms recommended by the Wright committee were implemented in 2010, the gap between the two types of Commons committees has grown. 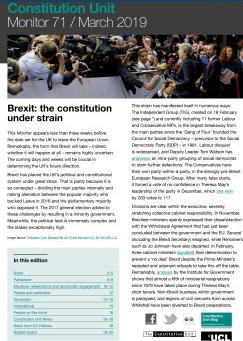 This gap is graphically illustrated by another event of the past few weeks – the election of Conservative backbencher Sarah Wollaston as chair of the Commons Health Select Committee (commented on here). Wollaston is a former GP, elected to the role by fellow MPs under the system facilitated by the Wright committee. Before this system came into force, select committee members were controversially chosen by party whips (albeit with some oversight by the Commons chamber). This could lead to MPs considered too independent-minded (sometimes including subject experts) being kept off. But the old whip-based system still applies to the public bill committees, and its most controversial use in the 2010 parliament applied to Wollaston herself. She had sought appointment to the committee considering the coalition’s Health and Social Care bill, but was kept off – which attracted significant media attention and criticism of parliament. Her treatment under the two systems could not be more starkly different. The (elected) select committee system valued expertise; the (appointed) public bill committee system did the reverse. Our new report Fitting the Bill: Bringing Commons Legislation Committees into Line with Best Practice has now been published, and is available for download here (see publications tab). 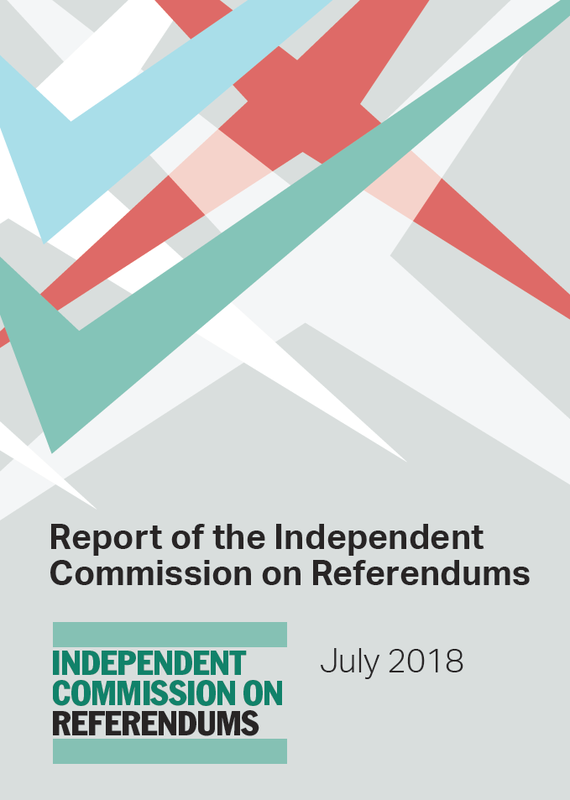 The report outlines complaints about the committees that scrutinise government legislation in the Commons, summarises calls for reform in the last two decades, reviews practice in 20 comparator parliaments, and uses these to make a series of proposals for change. The research was funded by the Joseph Rowntree Charitable Trust. Despite improvements in the legislative process in the Commons in recent years, bill committees are still considered a weak link. Reform in 2007 (when Jack Straw was Chair of the Modernisation Committee) introduced an evidence-taking phase for most government bills – a change which had been demanded for at least 15 years previously. There has also been some increase in the number of bills published in draft form, for consideration by select committees. But fundamental problems remain in the structure of Commons public bill committees. These were highlighted, for example, in the case of Conservative MP Sarah Wollaston, who was denied a place on the committee scrutinising the coalition’s Health and Social Care Bill, despite her expertise as a former MP. This report emphasises two kinds of contrast: with the House of Commons’ own select committees, and with other comparator parliaments. The select committees have a permanent membership, and focus exclusively on the work of one government department. This allows members to build up expertise, networks, and good working relationships with each other across party lines. They are also supported by a specialist secretariat and (since the Wright committee reforms of 2010), their members and chairs are elected. These committees are – in contrast to public bill committees – widely respected. Similar patterns are seen when looking at legislation committees in other parliaments. The report draws on evidence from the 15 pre-2007 EU accession countries, Australia, Canada, New Zealand, the US and the Scottish Parliament. In every single case, there is a permanent, specialist set of committees to consider legislation. But in the Commons, legislation committees are ad hoc, drawing members together for just a few weeks on a bill-by-bill basis. 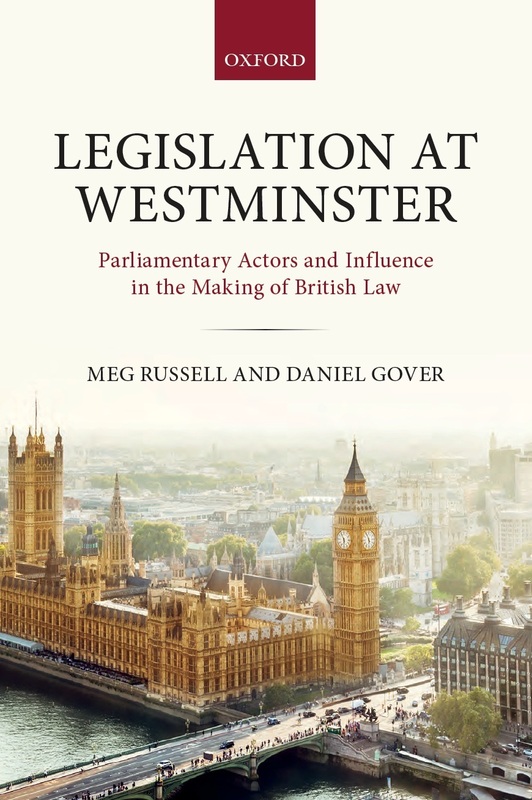 Comparative scholars therefore consider the Westminster parliament to be a ‘deviant case’. While the arrangements in the Commons encourage adversarialism, arrangements elsewhere encourage a more constructive, reasoned and effective form of scrutiny. In recent years there have been increasing calls (in particular by the Hansard Society) for introduction of dual-purpose specialist committees, dealing with both executive and legislative scrutiny. And indeed, as the report indicates, this was the initial demand of early reformers such as Bernard Crick and the Study of Parliament Group that he co-founded. What these calls achieved was the birth of the modern day select committee system, cemented in 1979. But the committees were given the task of executive scrutiny and investigations only, with the more sensitive business of scrutinising legislation left with nonspecialist, ad hoc committees. Since then the select committees have gone from strength to strength, and have become one of the Commons’ biggest assets. In contrast, the committees scrutinising legislation have fallen well behind. committees the additional task of scrutinising government bills. But this is problematic, for several reasons. First, the select committees (particularly in some policy areas) could become overloaded. Second, rather than the constructive cross-party culture of the select committees spreading to legislative scrutiny, the effect could be the reverse – that these valued committees lost their cross-party ethos. The Liaison Committee (made up of select committee chairs) has recently explicitly stated (paragraph 40) that it does not want them to be given this role. Experience from other parliaments – including in Scotland and Germany – reinforces this view. Dual-purpose committees often struggle to find the time, given legislative workloads, to conduct investigations. In this function, the Westminster parliament probably excels, and this shouldn’t be put at risk. The report points out that another attractive model is that used in the Australian Senate, where there are two parallel sets of specialist committees (with overlapping memberships) – one dealing with legislation, and the other with investigations. But the difficulty here is that legislative loads from different Whitehall departments is very varied. If the Commons developed a similar system, some legislation committees would be unoccupied most of the time. Rather than proposing a ‘one size fits all’ solution, the report therefore suggests piloting different models of legislation committees, to suit different departments’ workloads. In at least one heavy-legislating department (e.g. the Home Office) a specialist legislation committee should be established to consider all of that department’s bills. At the other end of the spectrum, at least one select committee shadowing a department that legislates only rarely (e.g. the Foreign Office) should be given the task of scrutinising that department’s next bill. In the middle – where most departments lie – other experiments should be tried, such as committees with a permanent core membership that works together long-term, and other specialist members added on a bill-by-bill basis. Once these pilots have been evaluated, they might be extended. One particularly firm recommendation however is that the means of choosing members of Commons bill committees should be changed. If a specialist legislation committee on the first of the above models is created, its members and chair should be elected in the same way that now applies to members of departmental select committees. In any cases where a select committee takes on this function, an established membership clearly already exists. But in any other cases – including existing public bill committees – appointment of members to new legislation committees should be made more transparent and accountable, on the model that previously applied to select committees. That is, rather than being chosen entirely by the Committee of Selection (dominated by party whips) as now, proposed names for new committees should be put to the chamber as a whole for approval. Plus, the Committee of Selection itself should become an elected body, with a backbench majority. This last proposal for change can be seen as a piece of unfinished business from the ‘Wright committee’, which recommended (paragraph 60) that the way public bill committee members are chosen should be reformed. Finally, the report suggests that greater permanence and specialisation among bill committees can be established not only through their members, but also through changes to staffing arrangements behind the scenes. And it suggests that the Panel of Chairs (whose members are currently responsible for chairing PBCs) should take on a more assertive role in defending the committees, and also reviewing their progress. 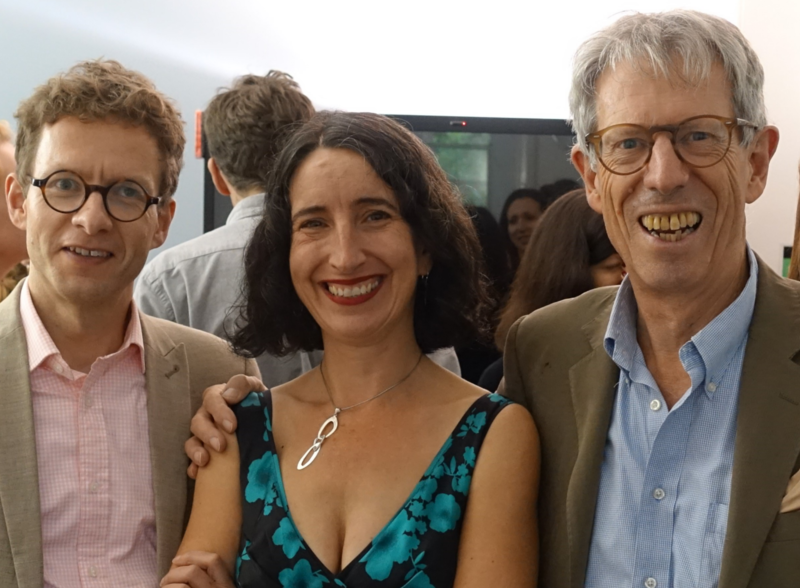 At the Westminster launch of the report, on the evening of 10 June 2013, former House of Commons Leader Jack Straw, and current Chair of the Procedure Committee, Charles Walker, both welcomed its analysis and recommendations. Jack Straw suggested that, while much has improved since he entered the Commons in 1979, there is much about the public bill committees system that remains ‘basically dysfunctional’. As a former minister, he argued that better scrutiny is in the interests of both government and parliament, to achieve better law. Charles Walker argued that MPs’ role as legislators needed to be better valued. He expressed interest in the report’s recommendations, and suggested that he would encourage the Procedure Committee to take them forward. We hope that this report – which aims to make pragmatic, achievable proposals – helps to move the debate on about how these crucial Commons committees can be improved. You can contribute your ideas here, and look out for future action by the Procedure Committee.